Most perfumes and fragrances are made in part from things that may not smell all that great. 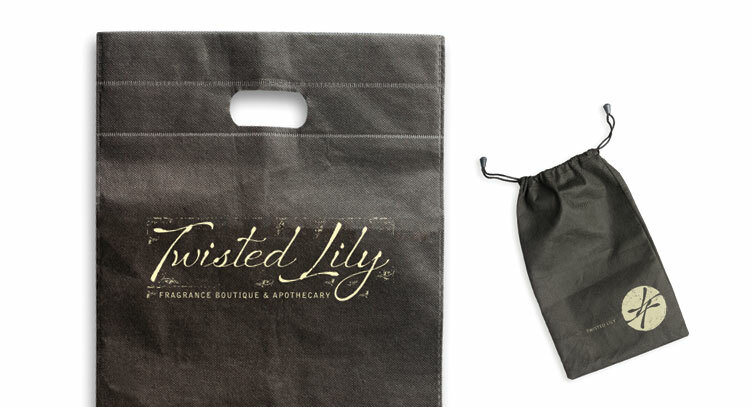 Twisted Lily, an acclaimed fragrance boutique in Brooklyn, NY, based their brand and identity on just that notion… that the lily is sometimes a bit twisted. This distressed identity system was proposed to capture the twist to this chic fragrance bar.